Acalypha reptans or the Lance Leaf Copper Plant is a frost tender, colourful and bushy shrub with a low growing habit and ovate mid-greenleaves with a serrated margin. It produces pinky-red catkin like woolly tail flowers up to 10 cms long, in summer and autumn. 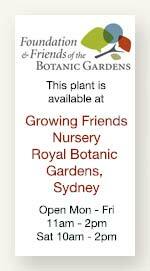 This plant is grown mainly for its attractive flowers and lush foliage, in colder climates they can be grown indoors in bright light. Good for a tropical feel to your garden. 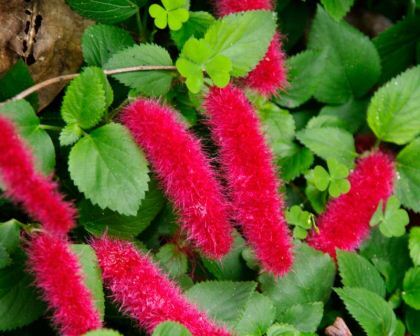 Comments: Acalypha is the name used by Hippocarates meaning nettle. Pictured is a cultivar called "Stephie". 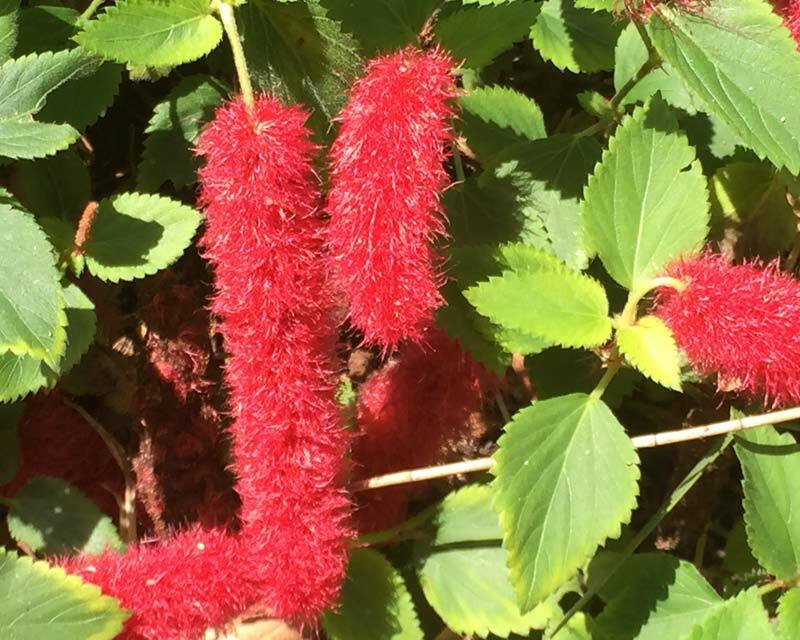 Tegan - Northern NSW: ACALYPHA REPTANS Stephie / Summer Love, has become a weed in my lawn. Removing by hand is extremely tedious and almost impossible, while it is not responding to weed killer for lawn. Any ideas on how to remove it without killing my lawn?. Webmaster - Sydney: Hey Tegan. We have never heard of this plant becoming a lawn weed, however, you clearly have to put up with it right now. Any weed that doesn't respond to a general purpose lawn weedkiller can be dealt with in two ways. #1. Scarify and regularly mow. Most non-grass plants are discouraged by regular mowing - unlike grass which is encouraged by it. #2. Use glyphosate (Roundup) carefully painted onto the weed leaves. 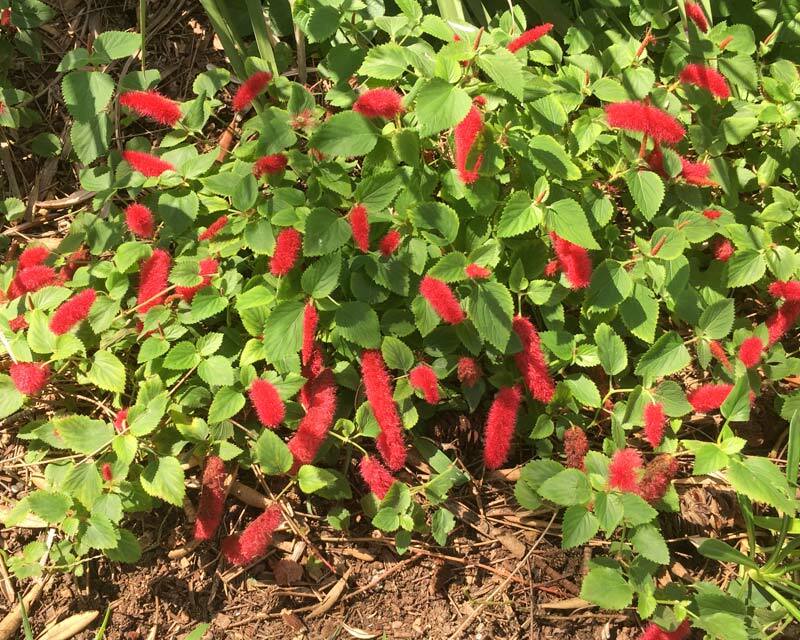 We don't like promoting harsh chemicals but in some cases is the only answer and if you are careful then the rest of your lawn should remain healthy..
Andy Bullen - Tintenbar, Northern nsw : Is there a variegated form of Acalypha reptans ? I've had it growing in the garden for many years, now a small portion is getting a cream variegation on it. Cheers. Annie - Webmaster : The variegated forms are a mutation of normal plant. It often happens that the variegated plant reverts to its original form. Your best bet is to prune off all the non-variegated branches and encourage the variegated branches to grow. You will need to continue to remove any branch with normal leaves. If you are unsuccessful there are quite a few variegated cultivars including Acalypha 'Goldfire' and Acalypha 'Firestorm'.. 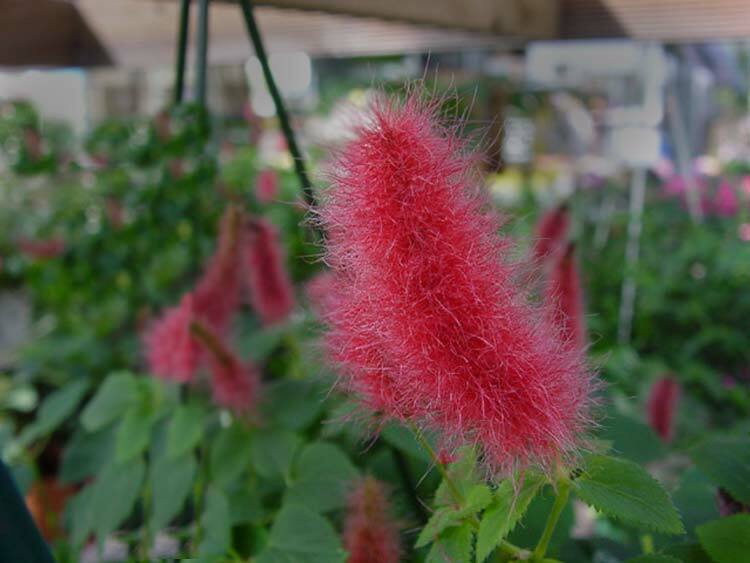 This is Acalypha reptans "Stephie"